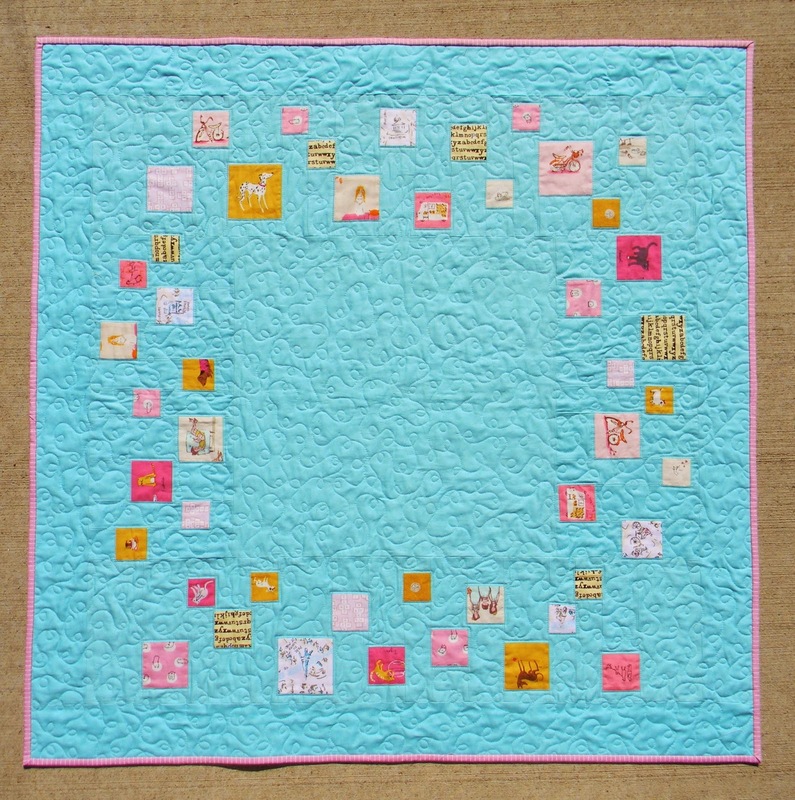 This beauty is an improv spin on a very traditional one patch quilt. If you look closely you will notice that each triangle is made up of strips. 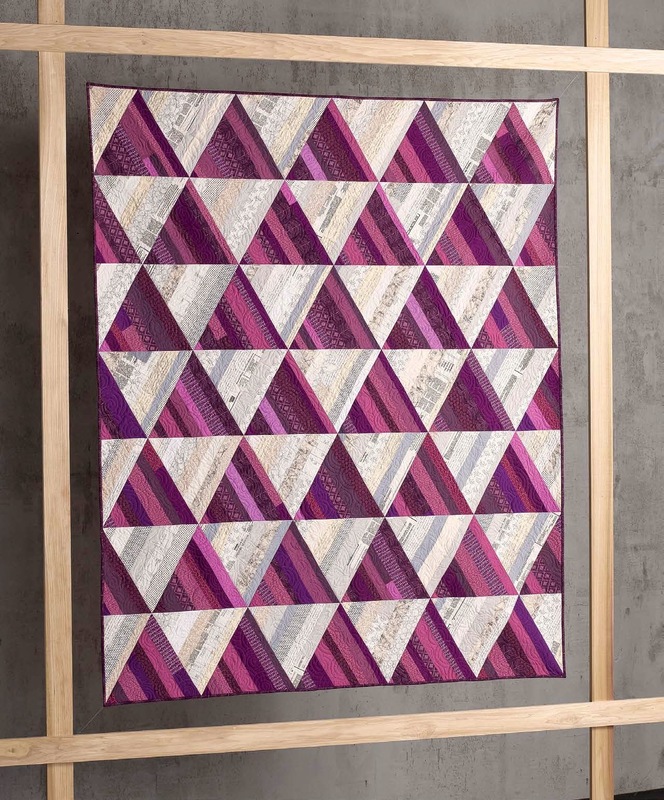 Strip piecing is a favorite technique of mine, and this quilt from Improvising Tradition shows just how versatile strip sets can be. The pattern shows you how to cut the triangles based on strips sets sewn from either yardage or those pieced carefully from scraps. Vary the direction of the triangles and maintain a strong contrast between your two colorways, and you will create a subtle yet interesting design. 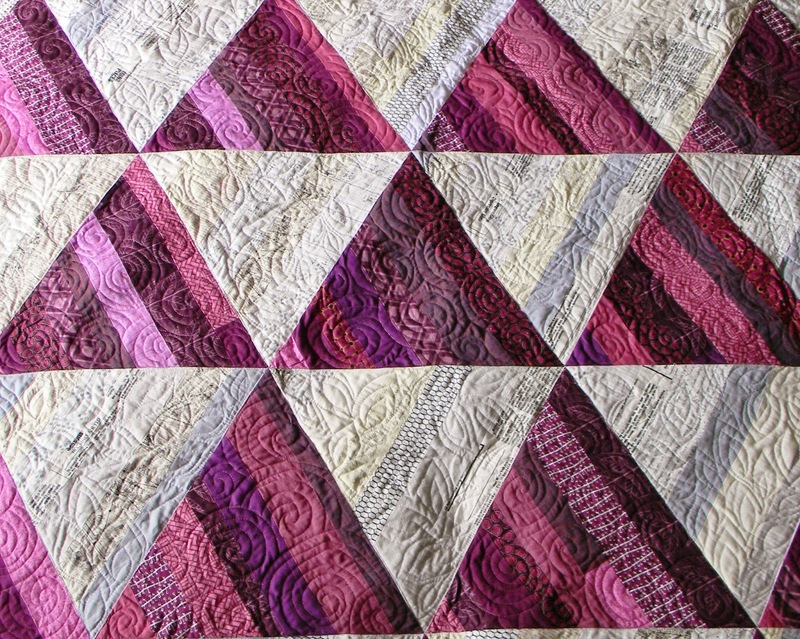 I quilted the purple triangles with a swirl design and the white triangles in a leaf design to emphasize the contrast between the triangles. 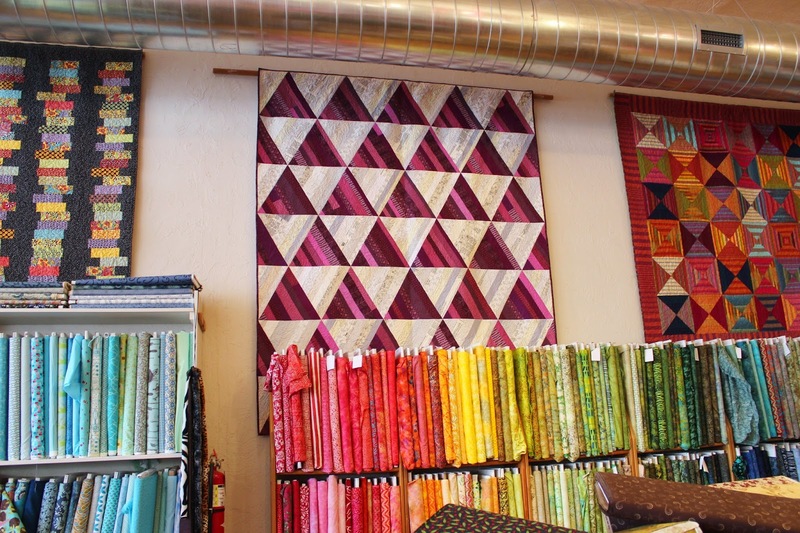 If you are in the area, you can see the quilt in person at Sarah's Fabrics in Lawrence Kansas, along with three other quilts from the book. It looks so happy there. 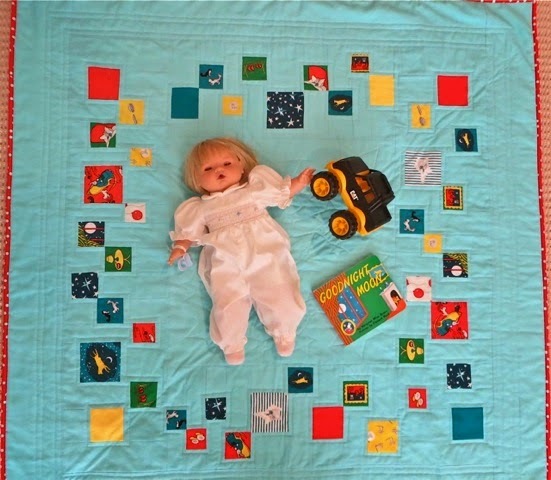 This sweet baby quilt is from the slice and insert section of Improvising Tradition . 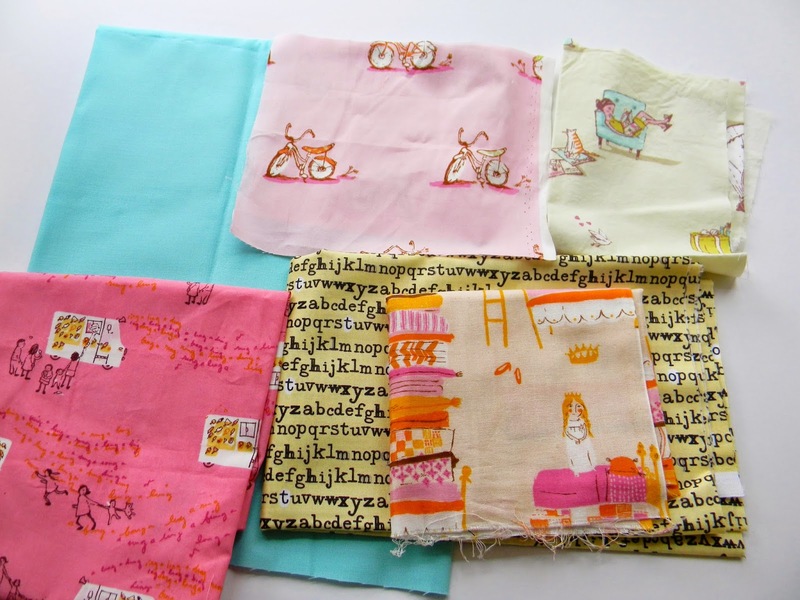 I pulled out some of my favorite, treasured novelty prints for this project and paired them with a cheerful aqua solid. Novelty prints are so much fun, but they can be hard to use. Slice and insert is wonderful technique for novelty prints and fussy cuts. With improv there is no more cutting the tail off that puppy or having to choose between the cute little moon or star to fit a prescribed pattern size; you can tailor your fussy cut to the image you want to feature! Just match the surrounding strip to the dimensions of your fussy cut, and you're all set to add it to your row. I had the pleasure, last month, of seeing one of the first projects a local quilter has made from the book. 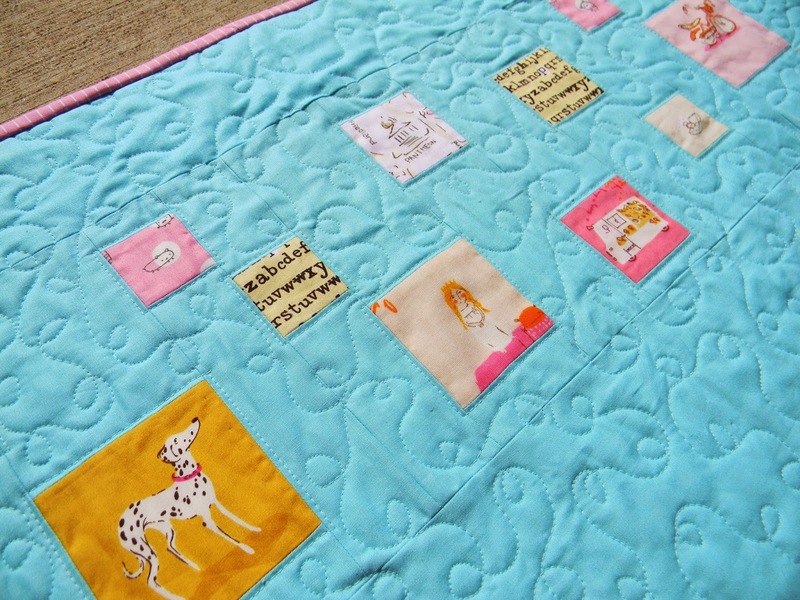 Cheryl Brady made this cute version of the quilt using a Good Night Moon print. She even quilted stars in the center.